Swami Nirmalananda Saraswati is the spiritual head of the Svaroopa® Vidya Ashram. She was honored with the title "Sadguru" in 2015 by the Brahmin priests in her Guru's home town of Ganeshpuri. 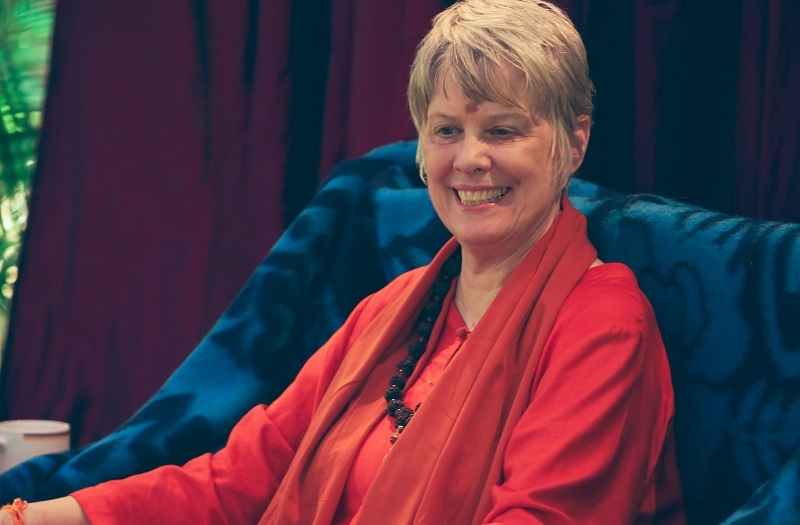 As a Kundalini Master and renunciant, she has dedicated her life to serving those who want to become Self-Realized. As a modern-day sage and Guru, she awakens Kundalini, your inner spiritual energy, through Shaktipat. She is a Kundalini Master, addressing your yearning to know your inherent Divinity by propelling you into it. She supports you in the process of learnign to live in the recognition of your own Divinity as well as to recognize the Divine in everyone and everything. With Swami Nirmalananda as your teacher, the inner process is deep and easy. One branch of the Svaroopa® Sciences is Svaroopa® yoga. Swamiji created it in order to bring asana practice back to its original purpose, the awakening of Kundalini and the knowing of Self. Svaroopa® Vidya Ashram continues to offer Svaroopa® yoga teacher training, with Swamiji serving as Master Teacher, directing and supporting our other Teacher Trainers. "Yoga itself claims to be a science. It uses proven methodology to get predictable results, just like the battery in your car. On the physical level, the methodologies provide reliable results, often likened to medical therapies, yet the sages always targeted a deeper goal… [to] become one with consciousness… to know your own Divine Self (svaroopa), inherent within you. The results are reliable: if you do what the sages teach, you will experience what they promise. This is yoga — pure mysticism, meaning it is about the mystery of life, the mystery that is hidden inside every human heart and being." Now Swami Nirmalananda ensures these ancient teachings are alive and thriving. 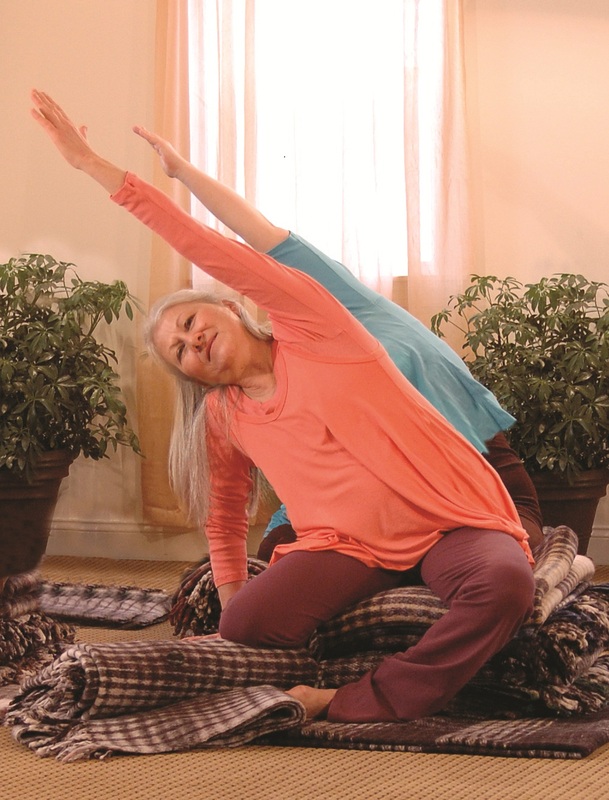 In Downingtown PA, the Ashram provides Lokananda, your “Bliss Place,” a full-service retreat facility for immersion programs, including Swamiji’s Shaktipat retreats, immersions for deeper practices, and professional training courses for yoga teachers, yoga therapists and meditation teachers. Weekly, Swamiji offers satsangs (free meditation programs) including chanting, meditation and teachings to guide you on your path. Swami Nirmalananda also travels throughout the USA, Canada and Australia, offering free programs as well as weekend Shaktipat Retreats. She regularly leads pilgrimages to Ganeshpuri India, the home village of her Guru with the Samadhi Temple of his Guru, Bhagawan Nityananda. Her generosity is legendary, including an enormous library of free online teachings on this website. They include contemplation articles, daily e-quotes and recordings from her satsangs. She also offers tuition-based, multimedia distance learning in a year-long programme, beginning each spring. 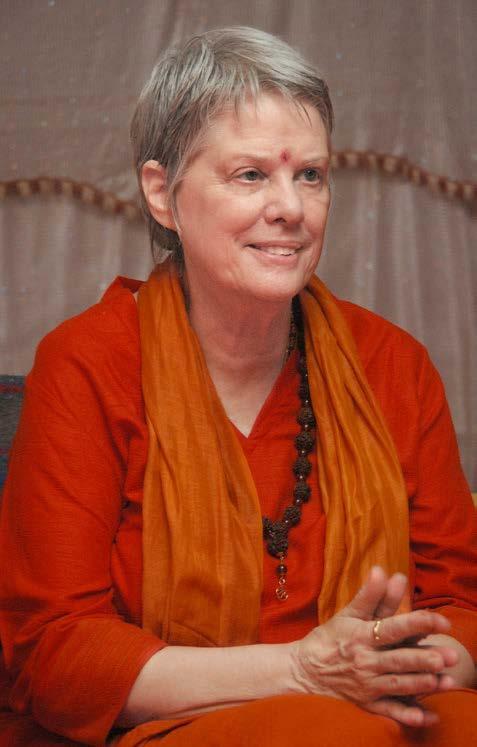 Under her guidance, the Ashram runs charitable projects in the USA and India. 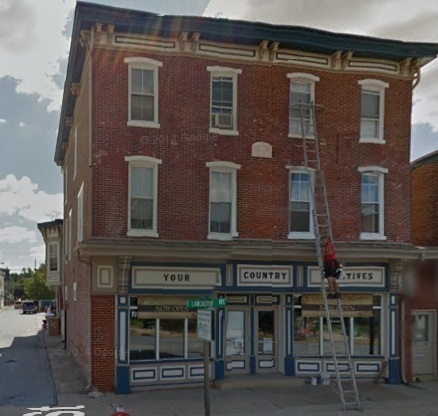 In Downingtown PA, we offer Stress Relief Inservice, training schoolteachers in centering self-care, so they can better serve their students. 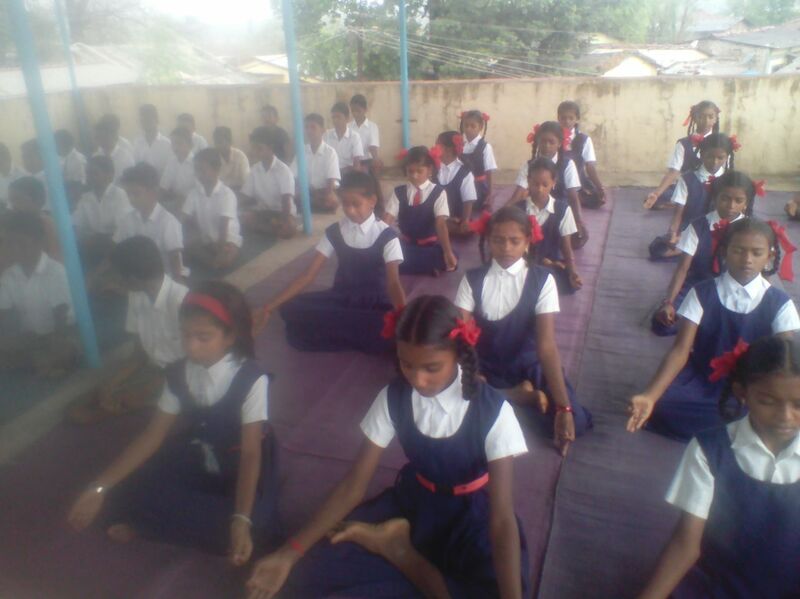 In India, we have partnered with Fire Mountain Ashram to offer Yoga in the Village, bringing yoga to school children in impoverished areas.